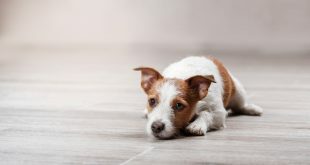 Jack Russel Terriers are known for their high energy levels, intelligence and inquisitiveness which makes them excellent companions for adventures in vast open spaces. How could they ever adapt to living in a (for their liking) cramped space like an apartment? 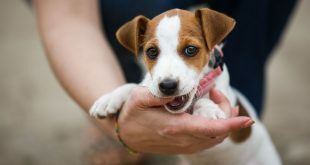 Here are a few crucial tips on how to make a pleasant home for both you and your JRT if you don’t have the luxury of having a large backyard. 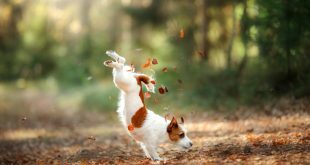 Jack Russels thrive on activity and exercise, especially outdoors, so you have to provide ample opportunity for them to stretch their legs no matter the weather. Everyday long walks are mandatory, as are various training exercises to stimulate their mind and body. Due to their high intelligence JRTs get bored easily which often leads to unwanted destructive behavior. For instance – they may happily think that they’re discovering some hidden treasure beneath that fluffy thingamajig but all you can see is that they actually just ripped up your sofa. That’s why you need to provide them with ample entertainment or wear them out with physical activity. Dog sports like frisbee and agility are a fun way to spend time together, bond, train and burn of their excess energy. Whatever you decide to do make sure that you spend some time in a place that you feel comfortable letting them roam freely without a leash so they get to stretch their legs properly. Training exercises, be they reinforcing already learned simple commands or trying out new and ever more complicated routines will engage their brains as well as their bodies. Just remember that their attention span and patience aren’t nearly as long as ours (no matter what kind of tasty treats you use) so give them, a breather when you see that getting tired or overly restless. If you don’t have time for long walks, a good idea is to have them run beside you while you ride your bike, a few circles around the neighborhood will do the trick. JRTs love their chow so make sure that they get a suited to their needs. To avoid obesity you must calibrate their calorie intake according to their physical activity during the day (approximately 450-650 calories for adults and 800-900 calories for puppies). Good way to use their love of food is to use dog puzzles and toys so that they have something fun and time consuming to do before they get their favorite treats. KONG puzzles are a fun, challenging and versatile way for your JRT to make an effort before getting their yummy treat. You can stuff them with your own combination of their favorite food or if you don’t have the time fill them up with speciall pre-made treats like the delicious KONG peanut butter flavored Easy Treat. If you decide to make your own homemade blend I suggest you do a combination of different layers (yogurt, chopped liver, vegetable puree, peanut butter, etc.) and freeze the toy before giving them to your pet. Freezing the KONG will help keep the treats inside the toy, it will last longer and your companion will have to be more resourceful in finishing the whole thing. Compiling different layers inside the toy makes it more appealing, challenging and, from a nutritional perspective, an overall more wholesome meal for your beloved. 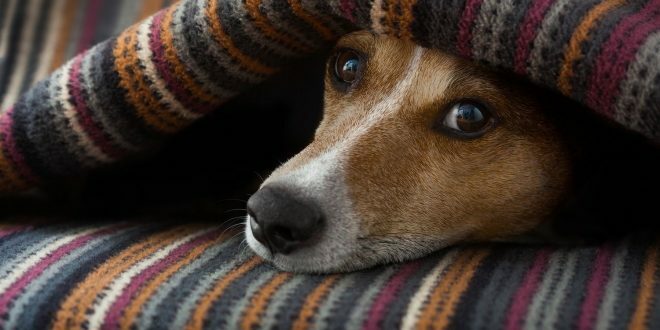 If you have to leave your Jack Russel alone in the apartment for a few hours you’ll have to consider getting a crate and training your dog to view it as a safe and fun place to spend their time in. As we’ve mentioned before JRTs can be quite destructive if left to their own devices, especially if they have separation anxiety. The crate will provide them their own space to which they can retreat to have some time for themselves when everybody’s home and a safe space to spend their alone time. I recommend the excellent MidWest Life Stages Heavy-Duty Folding Metal Dog Crate – it’s a sturdy, practical and roomy crate in which your pet will have ample room to move, play and relax. Before you leave put some of their favorite toys in the crate so they have something to play with along with their water bowl. You can toss in the forementioned KONG filled with treats. It’s a good idea to leave the TV or radio on during your absence so they can hear human voices – it’ll calm them down and keep them company. Due to their strong hunting instincts JRT’s often don’t play well with other animals, especially if they’re small and furry, so make sure that they aren’t in their line of sight all day or it’ll drive them nuts. If you have more than one dog, especially if it’s another JRT or a small puppy, it’s best to keep them in separate crates. They each have to have a space to call their own to feel comfortable. Besides, Jack Russells tend to have a short temper when it comes to other canine friends and it’s not unusual for them to start a fight if left unsupervised. Excellent way to keep your dear JRT amused and stimulated is by having him/her solve an interesting puzzle. Dog puzzles revolve around yummy treats that are ingeniously hidden in a toy with your pet having to find a solution of how to get to them. They know that there are delicious rewards waiting for them because they can smell the beautiful aromas coming from the contraption. Therefore, the smellier and higher value the treats the more they’ll be motivated to interact with the toy and solve the conundrum. Such toys won’t only keep them occupied but stimulate them mentally which is just as important as keeping them physically fit. There are many different kinds of dog puzzles on the market today with varying degrees of difficulty. Ease them into it. Start off with something simple like the Seek-A-Treat Shuffle Bone Toy Puzzle. It’s a durable interactive puzzle toy in which they must learn to move the sliders to get to the rewards that await beneath. For a more challenging game try out the excellent Nina Ottosson Dog Brick. With its combination of sliders, compartments and removable pieces it provides ample opportunity for a diverse and demanding work-out of their cognitive and fine motor skills time and time again. On the other hand you have dog puzzles that are in essence more akin to the aforementioned KONG like the amazing Interactive Dog Ball by FurryFido. It consists of two hollow rubber spheres that can be filled with various tasty treats. As the ball moves the treats will start to fall out if the holes align. With this durable bouncy ball you can have a more active workout with a great game of catch or you can leave them to work it out themselves by rolling, chewing and coming up with ever more ingenious ways to get to the precious treats. Generally speaking it’s best to supervise them while they’re playing with puzzle toys. They’re made from tested and durable materials but they do include moving parts, after all it’s better to be safe than sorry. Besides watching them trying to solve the brain-teaser is amazing fun and at times unbelievably funny. It’s astounding to see how they learn and adapt new strategies as they progress over time. Just remember that not all dogs will like solving puzzles. Some will find them boring or too frustrating and that’s OK – not everybody likes crossword puzzles either. Having a JRT in an apartment is requires a bit more work than with some other dog breeds but it’s definitely not impossible. They require daily care, exercise and entertainment and you’ll have to make time to take care of their needs but trust me it’ll be worth it. They can be a great motivator for you to spend more time outside of your apartment. Keeping up with their boundless energy and clever shenanigans will bring you joy and maybe even help you in get in shape in no time. Share your questions, tips and experiences in the comments below.